The concept is straightforward: VoIP phone systems transform analog voice calls into packets of data. The data is then sent over broadband computer networks instead of traditional phone lines to be translated back into voice at the receiving end of the call. From its roots as a free service that allowed only computer-to-computer calls, VoIP service has matured into a stable, mainstream solution appropriate for businesses and consumers. While once considered a newfangled communication technology, VoIP has become more mainstream for businesses of all sizes. The FCC confirms that VoIP usage increased 21% from 2010 to 2011, adding up to more than 30 million VoIP service users in the US. How can VoIP services benefit your business? This subscription-based service routes your outgoing calls over the Internet and converts the data back to an analog signal. It then transfers it to the existing telephone network to allow a VoIP call to connect with any regular phone, anywhere in the world. Right now, the bulk of VoIP services are consumer-based, with dedicated VoIP providers like Skype and Vonage being joined by telcos AT&T, Verizon, and Qwest in offering VoIP services as a replacement for home telephone service. However, with VoIP service levels improving, standards being settled, and more big-name companies getting into the act, VoIP services are becoming more viable as an option for businesses. Hosted VoIP solutions provide all the features of a PBX, including auto-attendant, forwarding, conference bridges, and extension dialing – without requiring you to purchase a PBX. Getting these features without the hardware cost of a traditional phone system is great for small businesses, and when combined with the free or low-cost long distance fees, it means that VoIP service is becoming more attractive as a business solution. Business VoIP service may be categorized as pay-per-minute metered extensions starting at $0.03 a minute or $14.99 per month per extension, virtual extensions at $14.99 per month per extension, or unlimited multiline extensions at $39.99 per month per extension. This option is more typical for medium to large businesses. In this case, VoIP equipment installed at your business routes internal calls over your computer network, allowing you to unite multiple offices on a single phone system. However, it does not replace your existing phone service to the outside world: Your internal VoIP network will still need a connection to the public telephone network. If your business is spending big bucks on toll calls between locations, you are a prime candidate to upgrade to VoIP right away. No matter how remote your locations are, a VoIP phone system can completely eliminate long-distance calling charges between them, resulting in immediate cost savings. A VoIP system also allows even the smallest branches – including employees working at home – access to the full features of the corporate phone system. 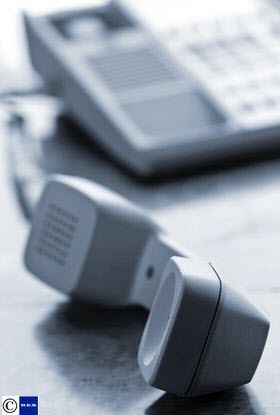 VoIP phone systems are often preferred for their potential for growth scalability. A mid-level VoIP phone system may cost as little as $129 and come equipped with multiple extensions, voicemail, and conference calling features. More complex VoIP phone systems may include handset and headset capabilities, an integrated Ethernet switch, and Wi-Fi and Bluetooth support. Network not working? Upgrading your data network now can pay off for VoIP later. Many companies are surprised to find that the data network that has been adequate for computing is woefully congested for the real-time requirements of voice communications. Keep an eye on the FCC. Right now, the agency closely regulates traditional phone companies yet gives cellular service providers free rein in many ways. The FCC has already met to discuss future regulations for VoIP, yet their rulings still remain unclear since major providers like Verizon and AT&T discourage FCC regulation of their fiber optic networks. Be ready for wireless VoIP. Already undergoing wide-scale testing in Australia, wireless VoIP could eventually supplant cell phones. The combination of VoIP phones and expanding wireless networks will soon provide a new option for cheap, portable voice communications. Case studies support that wireless VoIP is cost-effective, versatile, and time-saving in the workplace. As you search for the right business VoIP provider, focus on a balance between price, usage, and flexibility. A company that offers a wide range of VoIP features may be worth the extra monthly investment. On the flipside, unnecessary features can be omitted from a service contract before signing an agreement to save your business money on monthly telecommunication expenses.